The tiny entrance of the Criterion Theatre is almost invisible among the massive advertisements, traffic and crowds of Piccadilly Circus. To ignore it, however, is to miss one of London's most enchanting theatres. Use of mirrors and stunning murals of clouds and cherubs turns this underground labyrinth into an airy paradise. It has shown a wide variety of fare since it opened in 1974, including the first UK production of Beckett's Waiting for Godot (1955). The Criterion's greatest successes have always come from bawdy comedy. A Little Bit of Fluff (1915) was blamed for the destruction of the public's morals with its brief flash of a woman's unclothed leg: it ran for 1241 performances. Run for Your Wife outdid this with a seven year run in the 1980s, and it recently played host to the Reduced Shakespeare Company, who performed their Complete Works of William Shakespeare more than 2000 times. What are the best dining options near Criterion Theatre London? Criterion Theatre gyms, sporting activities, health & beauty and fitness. The best pubs near London Criterion Theatre. 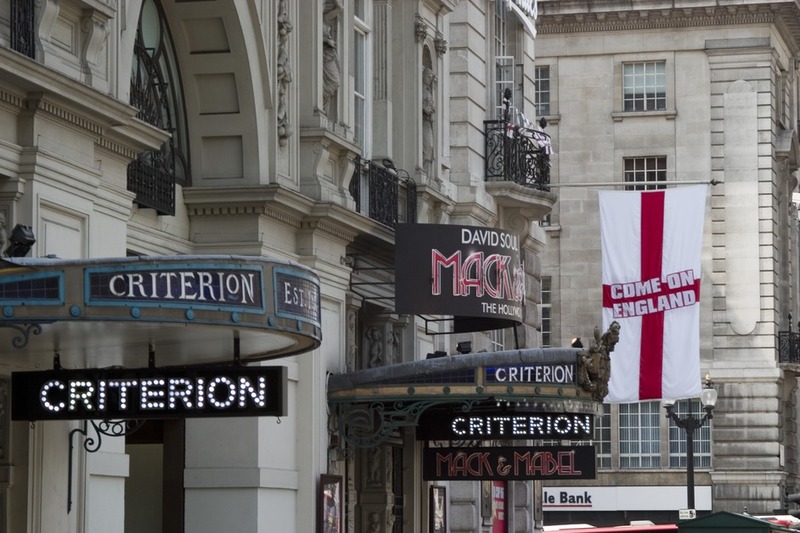 Criterion Theatre clubs, bars, cabaret nights, casinos and interesting nightlife. Where to have your meeting, conference, exhibition, private dining or training course near Criterion Theatre. From cheap budget accommodation to luxury 5 star hotels see our special offers for Criterion Theatre hotels, including Cafe Royal Hotel from 97% off.